GETTING AROUND TAIPEI: 9 WAYS TO EXPLORE TAIPEI AND BEYOND WITHOUT A CAR – Look Through The Lens? Will you? 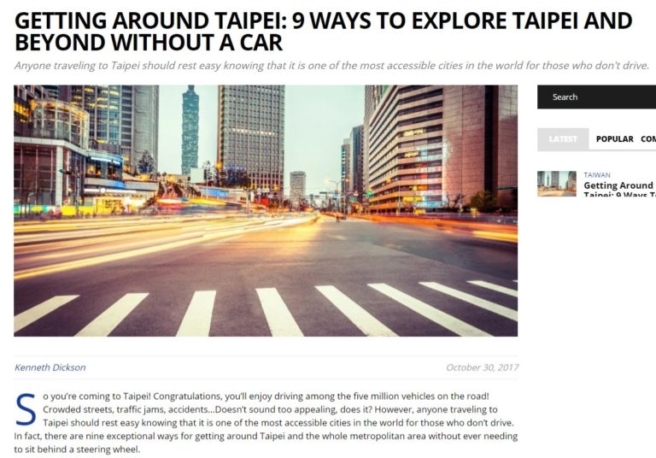 “Getting Around Taipei: 9 Ways To Explore Taipei And Beyond Without A Car,” published in WanderGogo, October 2017. Text and some pictures.